Ignacio Cano is the Senior Client Partner at Korn Ferry Hay Group, a management consulting firm that offers executive search an talent management services to help organizations manage change to affect greater growth and more effectively reach the customer base they seek. With nearly 3 decades of experience in human resources and management, Ignacio is an internationally experienced leader in organizational structure and efficacy. Helping to enact transformation and implement new consulting initiatives, he is seasoned in board effectiveness, succession and talent management, workforce planning, total rewards strategy, executive compensation, and mergers and acquisitions. After earning a Bachelor of Actuarial Science from the Universidad Nacional Autónoma de México, Ignacio went on to complete a Master of Business Administration from IPADE Business School. He worked fro 24 years as an HR professional, and then found himself in a career renaissance, stepping into the role of Senior Vice President of Human Resources for Grupo ICA, a large multinational construction company operating across Mexico, the United States, Latin America and Spain. 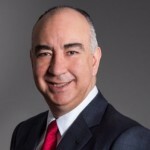 In addition to his role for Korn Ferry Hay, he is a member of the Colegio Nacional de Actuarios, AMEDIRH and is a board member of Old Mutual, Invercap and Coparmex. He resides in Mexico City and speaks fluent English and Spanish. In his spare time, he loves to broaden his horizons by traveling. International Society of Business Leaders Member Ignacio Cano, MBA can be found on the Society Directory, where he is looking forward to networking with you.